For background, please see the posting below. 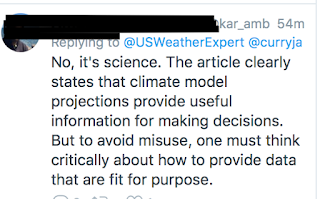 In it, I contended that climate science is not a science because it lacks the absolutely essential element of any science which is a falsifiable hypothesis. 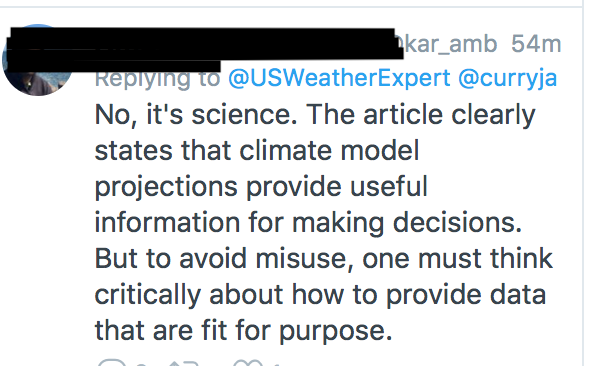 A climate scientist from MIT immediately Tweeted and rejected my comment. I have obscured his name because I do not desire to put him in an uncomfortable position. The climate scientist said I was wrong and that it is a genuine science. And, his response? Nothing (blank yellow page for illustration). 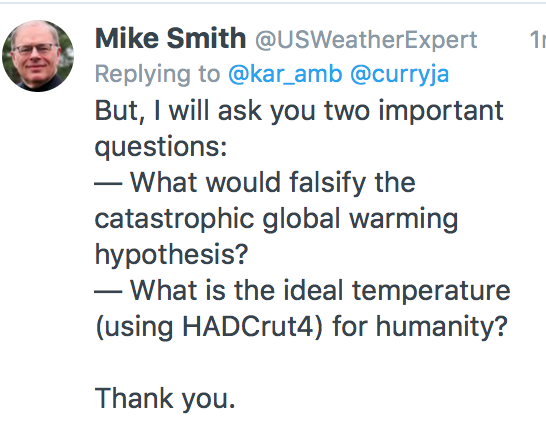 Over and over and over, I have asked climate 'scientists' these questions and I never get a satisfactory answer and, most of the time -- as in this case -- I get no answer at all. I have even offered to several the opportunity to post a guest column on my blog answering these questions. Global warming made it onto the front pages of America's newspapers in summer, 1988. They've had three decades to come up with the answers and have not. So, from this point on, this blog will refer to climate studies instead of climate science. 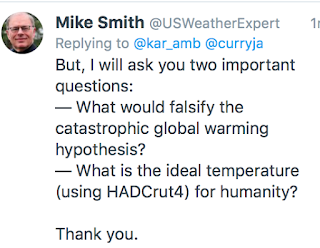 If these terribly basic questions cannot be answered after 30+ years, then the study of future climate is interesting and important speculation but it is clearly not science.